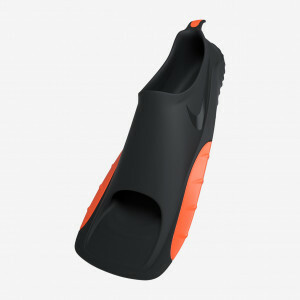 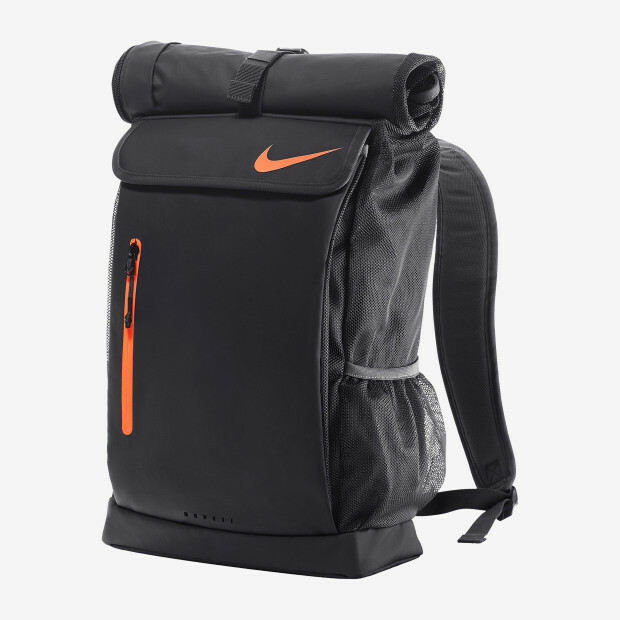 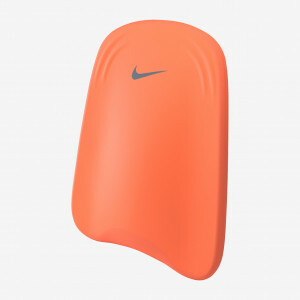 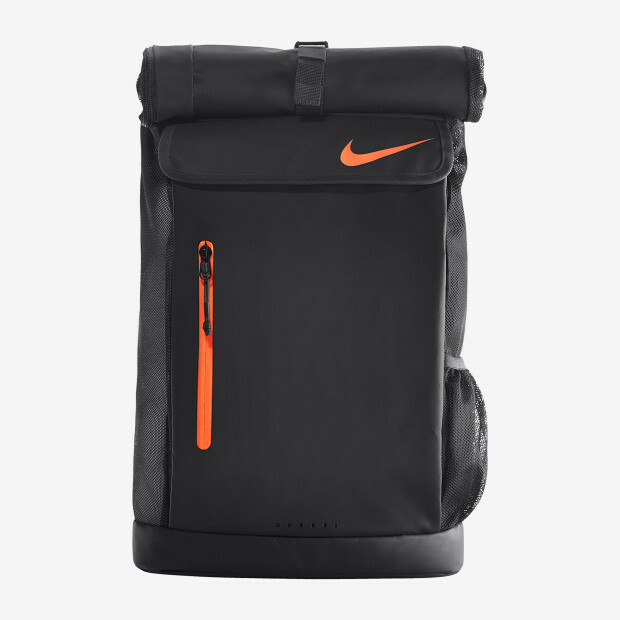 Nike Swim Roll Top Backpack safely stores your swimming gear. 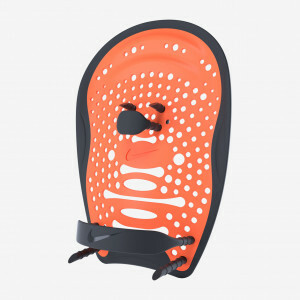 The roll-up top allows the swim bag to hold oversized items, and it has a fleece-lined exterior zip pocket designed to store your goggles without scratching them. 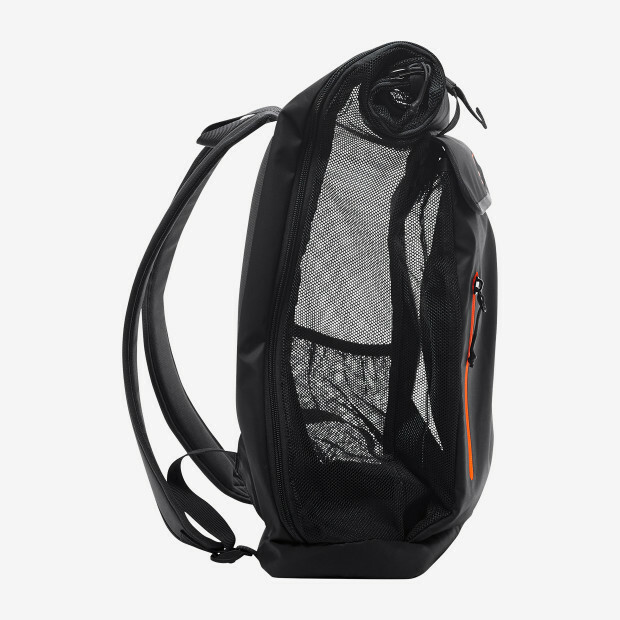 The swim backpack features breathable mesh panels at the side and back to enhance air flow and speed up drying.